Crete has absolutely stunning natural scenery and to fully appreciate it, you must get up close and personal with the landscape. Not too many tourists actually take the time to get a little off the beaten track and camp instead of staying in hotels and resorts. 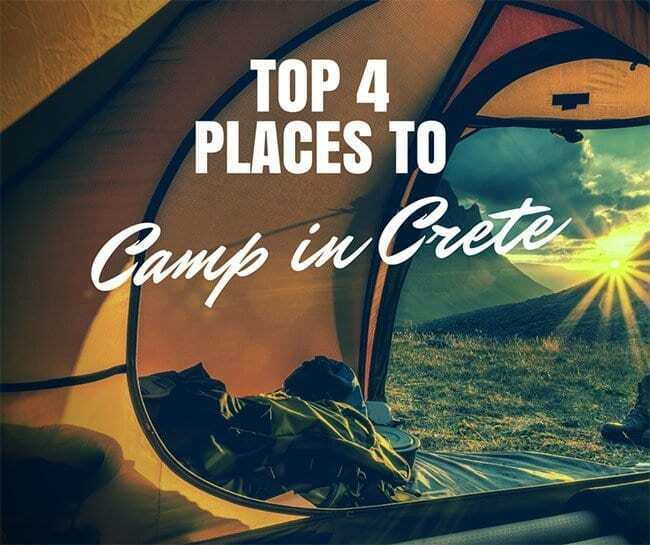 If you are looking for a unique way to explore Crete and have a constant connection with its natural landscape, consider camping in one of these top places. 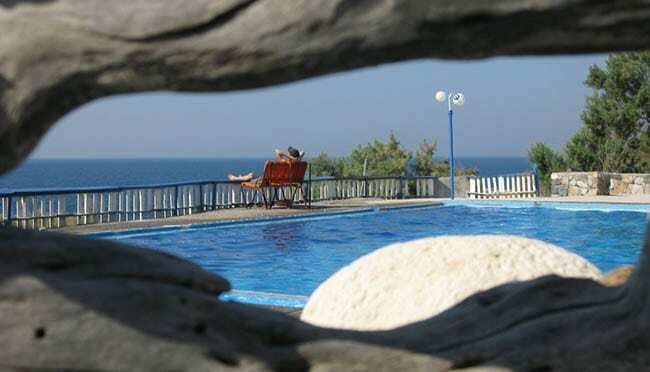 Located in the northern region of Drapanias, this campsite is in one of the island’s most beautiful settings. Located right beside the beach, your temporary home will offer you views of the Gulf of Kissamos and the mountains that surround it. The campsite offers plenty of shade and has facilities for both washing and cooking. There is hot and cold water available 24/7, a mini market, electrical connections, a restaurant with Cretan cuisine and also a bar. 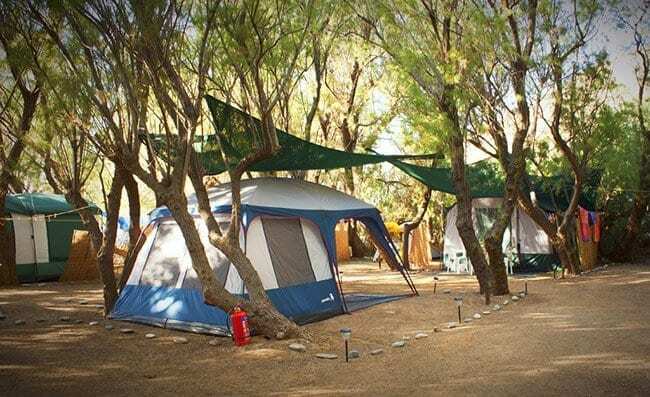 Through the campsite, guests can set up tours to visit Samaria Gorge, Elafonisi and Gramvoussa, or just follow the Chania Tour. Tents and trailers cost between 4 and 6 Euro per night. 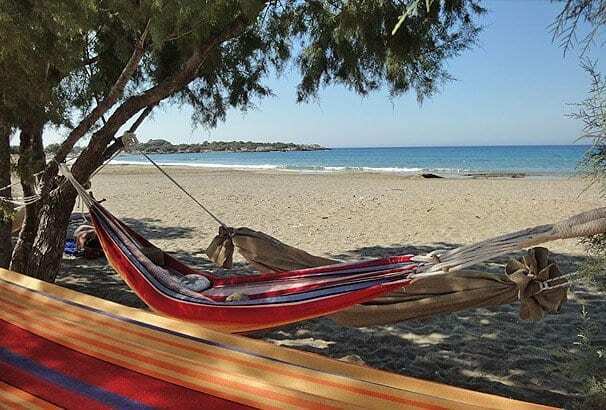 Quite near to the center of Paleochora, this beachside campsite does its best to offer guests an affordable and entertaining experience camping in Crete. You can either bring your own tent or campervan or rent them from the site. If you rent a van, it will include air conditioning, hot water, a television, private shower and bathroom. 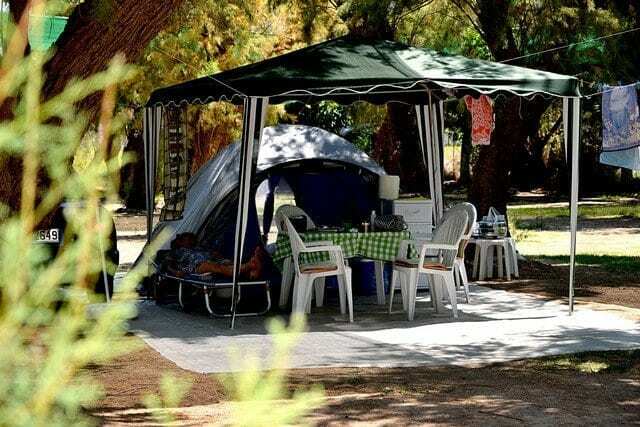 The facilities offered on the campground include produce from the garden, WiFi, washing machines, electricity, hot water, snack stand, barbeque, playground and a mini market. The Grammeno site makes sure to offer its guests lots of exciting things to do. You will be able to windsurf, jet ski, sail, sky dive and fish. Guests will also be able to go trekking and take boat trips around the island. Tent and campervan rentals per night cost between 4 and 10 Euros. Just 20 minutes west of Chania, this region is full of lush green forests and sits beside the gulf of Kissamos. The campsite considers themselves more of a luxury option and offers guests access to the pool and tavern serving Cretan dishes. The campground also has a bar, a mini-market and puts on periodic Cretan nights where guests can listen to traditional music and eat traditional cuisine. Tents and campervans can be rented and range from 6 to 30 Euros per night. Right outside of the traditional fishing village of Sisi, this campground is perfectly situated between sea and mountains. Camp amongst the trees, flowers and plants and walk a mere 15 minutes to get to the village, a quaint harbor and plenty of restaurants and bars. The beach is less than a ten minute walk away and the mountains are at your disposal for easy trekking access. Guest facilities include a swimming pool, snack bar, electricity connection, washing machine, cooking facilities and hot water. Tents and campervans can be rented if you don’t bring one of your own and the prices range from 4 Euros to 10. Do something different than the rest of the tourists in the hotels. Get out of your comfort zone and head onto the beaches and the mountains of Crete. You will wake up to beautiful scenery and fall asleep under starry skies.